In the Age of Digital Enlightenment, more and more organisations are digitizing data and documents and making them available for free under Creative Commons Licences. These include historic documents, maps, photos, paintings, etc. All can be simply downloaded and included in books, powerpoints or websites, provided you credit the source. Below you will find a list of websites by various organisations offering access to free maps, photos, documents, etc. Have a look and Feast! If you know of more online resources, feel free to drop us a message and we’ll add them to the list! 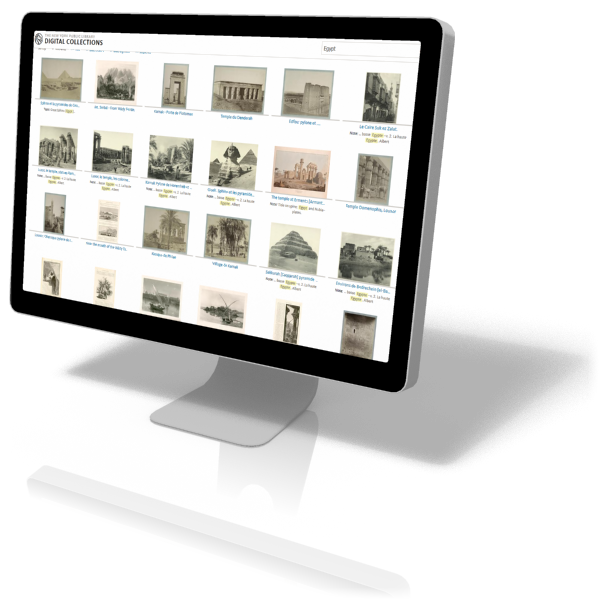 This collection houses all sorts of historic data such as a collection of over 20.000 Maps but also many other sources, for example, a simple search for “Egypt“ reveals many historic photos of Ancient Egypt. Just make sure you select the “show only public domain” button. More and more museums are offering free access to their collections. Now you can download loads of historic paintings and photos of objects, under a CC licence. These include all the masterpieces by Rembrandt and many other great Dutch masters.